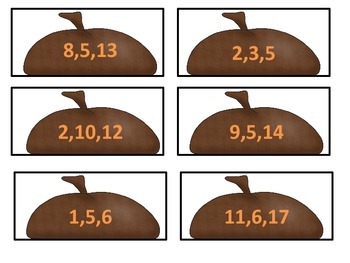 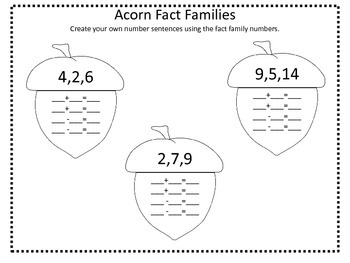 Practicing fact families is so fun with these cute acorns! 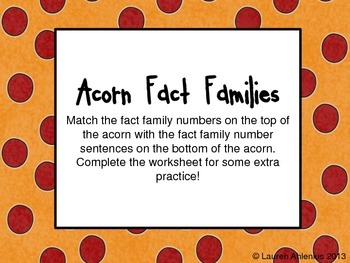 Students will be able to practice this concept then follow up with a fact family handout. 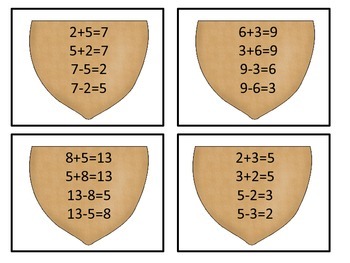 This activity is one of the five activities included in my Thankful for Math Stations packet.